CHAI's campaign to get the use of horse-drawn carts banned from the streets of Tel Aviv achieved success in November 2009, when the city announced that, at long last, it had banned the practice. However, the ban was not enforced, and in Tel Aviv, cart horses were back at work on the streets. In 2011, Hakol Chai, CHAI's sister charity in Israel, launched a new Witness Campaign to end this practice. In November 2012, Israel's Minister of Transportation agreed to ban horse-drawn carts from all city streets and highways throughout Israel. Finally, on July 29, 2014, Israel became the first country to impose a nationwide ban on horse- and donkey-drawn carts on streets and highways when the Knesset Economic Affairs Committee approved the new regulation submitted to it by the Ministry of Transportation at the suggestion of Hakol Chai. Summer 1999 — In response to Tel Aviv officials' continued refusal to take action in response to CHAI's complaints about the problem of abused horses in the city, CHAI rescues and rehabilitates severely abused horses to raise awareness of the plight of these animals, demanding routine inspections and licensing. 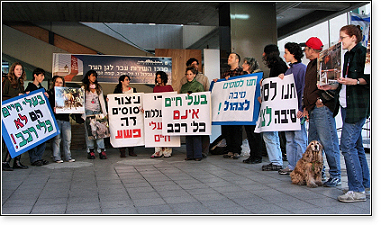 November 1999 — CHAI sponsors the first conference in Israel on Animal Shelter Management for veterinarians responsible for municipal pounds, and for heads of shelters and their workers. The two-day event, held at the Koret Veterinary School, attracted an audience from all over the country. Because police officers or municipal veterinarians who were sent out in response to our calls about horse abuse had not received training in what to look for, CHAI included information about how to identify horse abuse in our Animal Shelter Management Manual, which was distributed in Hebrew and in English at the conference and later on our website in Arabic. The information about horses was subsequently distributed as a separate manual, in English, Hebrew, and Arabic: Horses – Standards of Care and of their Work Environment. CHAI also urged the Veterinary Services to provide training to police and municipal veterinarians on this topic, and the first such class was finally held. 2001 — Hakol Chai reports a major abuser of horses in Jaffa, the old part of Tel Aviv, to authorities — a man named Nissim, who starved and sold horses, provided no veterinary care, and even hacked them apart with an axe in front of each other and sold their meat in the market as beef. Hakol Chai's undercover video of the killings airs on TV, and Nissim's place is temporarily closed down. 2003 — Nissim reopens his facility and Hakol Chai organizes a raid on his place, exposing horrendous cruelty and shutting him down permanently. Still, the city refuses to investigate the condition of other horses in the city and remove those being abused from their abusers. Hakol Chai determines that regulations will not stop the abuse and calls for a complete ban. Hakol Chai's footage of abused donkeys pulling heavy loads airs on Kolbotek, a popular TV program. This photo shows a donkey whose ears were cut off. April 2005 — Hakol Chai's attorney writes to the Ministry of Transportation and Mayors of cities around Israel, urging them to ban the practice of horses pulling heavy carts. 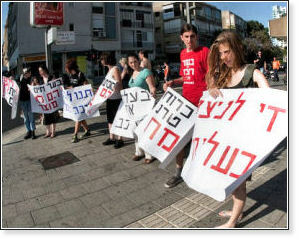 Hakol Chai begins pressuring the City Council to issue a ban. Hakol Chai's attorney submits a detailed proposal and recommendations to the City Council, asking it to call a meeting to discuss the problem and its recommendations. In response to Hakol Chai's campaign, cart horse owners begin heavily lobbying the Mayor's office to prevent the enactment of a ban, and the Mayor is reluctant to take action against this special interest group. Hakol Chai and CHAI organize an international letter-writing campaign, asking that appeals be sent to the Chairperson of the Education, Culture, and Sports Committee in the Knesset, the Minister of Education, Culture, and Sports, the Minister of Transportation, and the Mayor of Tel Aviv-Jaffa asking them to ban the use of horse-drawn carts to haul heavy loads through busy city streets. Two more years of pressure follow. Spring 2007 — Hakol Chai makes presentations in Tel Aviv schools to raise awareness among students about the suffering of cart horses and the need to protest their treatment. At an annual conference for Tel Aviv schools participating in the "Breakthrough" program, in which students work to make a difference on a social or environmental problem of their choosing, students of the Democratic School show a film shot by Hakol Chai documenting the horse/donkey abuse problem in the city and promote the cart horse case to a panel of local authorities, including the Tel Aviv municipal veterinarian. 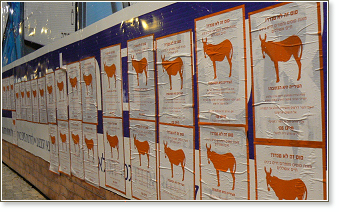 Fall 2007 — Hakol Chai mounts posters throughout Jaffa, where these animals are used as beasts of burden, announcing "A horse is not a truck! Hundreds of miserable horses and donkeys live around us. Don't be indifferent! 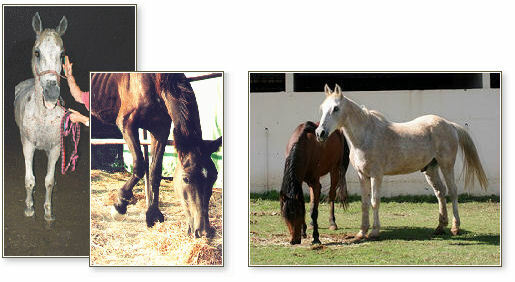 If you see a horse or donkey in distress, demand that the city act!" December 2007 — For the first time, as a result of Hakol Chai's campaign, the Tel Aviv City Council calls a special session to address the problem of horse abuse in the city. At that meeting, Tel Aviv's municipal veterinarian agrees with Hakol Chai that abuse cannot be prevented through regulations, especially since the city has neither the funds to regularly inspect the horses nor a facility to house them if they remove them from their abusers. Still, the Mayor refuses to ban the practice, saying he will make greater efforts to enforce existing regulations. Outside the meeting, at the entrance to City Hall, Hakol Chai activists demonstrate, joined by the Green Party and other organizations. 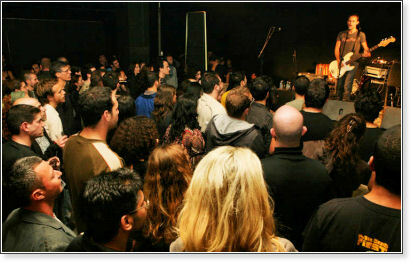 December 2008 — 350 people crowd into a popular Tel Aviv venue in support of Hakol Chai's campaign, where popular singers Asaf Amdurski, Ram Orion, and Billy Levi have volunteered to perform. CHAI / Hakol Chai's campaign in Israel is now part of an international coalition of organizations throughout the world called Horses Without Carriages International, which seeks to end horse-drawn carts and carriages. June 2009 — Hakol Chai stages a civil disobedience demonstration at the entrance to City Hall. Dozens of Hakol Chai protestors carrying signs saying "Horses and donkeys are not vehicles," "Animals are not cars," "Carriages and carts are a dead trend," "They're hurting; don't you care?" and "Stop Animal Abuse" block the entrance to Tel Aviv's City Hall to protest the Mayor's continued refusal to ban horse-drawn carts. The protesters distribute hundreds of pamphlets explaining the plight of the horses to pedestrians on one of the city's busiest streets, which runs in front of City Hall, and to city employees as they enter and exit the building. Some of the protesters lie on the ground as if they were dead to depict what becomes of the abused animals. November 2009 — Tel Aviv's Mayor, at long last, bans horse-drawn carts from the city, but the ban is not enforced. October 2011 — Hakol Chai launches a new "Witness Campaign" to end this practice in Tel Aviv and in cities throughout Israel. July 2012 — Hakol Chai formally requests that the Ministry of Transportation change the existing legal definition of horse-drawn carts as "vehicles." October 2012 — At the Ministry of Transportation in Jerusalem, Hakol Chai meets with Ministry representatives. At the meeting, the Ministry agrees in principle that horse-drawn carts must disappear from all city streets in Israel. November 2012 — Israel's Minister of Transportation agrees to ban horse-drawn carts from all city streets and highways throughout Israel. July 2014 — Israel becomes the first country to impose a nationwide ban on horse- and donkey-drawn carts on streets and highways when the Knesset Economic Affairs Committee approves the new regulation submitted to it by the Ministry of Transportation at the suggestion of Hakol Chai.Following the unanimous vote, the head of the committee, MK Braverman, is asked by a small group of carriage drivers who haul tourists on one street in the northern coastal city of Nahariya to include an exemption for them in the regulation. MK Braverman postpones enacting the regulation to consider the request. September 2014 — Over the objections of the Transportation Ministry and Hakol Chai, MK Braverman includes an exemption in the regulation that allows municipal officials to grant licenses to horse-drawn carriages hauling tourists on a case by case basis, provided the municipal veterinarian regularly inspects the horses to ensure that they are in good condition. The Transportation Ministry assured Hakol Chai that it will seek to limit the exemptions to the greatest extent possible (Nahariya is currently the only city with horse-drawn carriages for tourists) and eventually, to put an end to them. Carriages will be restricted to roads with little traffic. Transportation Minister Israel Katz said: "Carts with animals harnessed to them on Israeli roads constitute a significant danger to drivers and pedestrians, and they often cause traffic delays and unnecessary traffic jams."